With his sentencing date approaching, children of Winston Blackmore are taking to social media to ask a Canadian judge not send the man to jail for polygamy. Some of Blackmore’s 149 children posted a video online Tuesday, saying the Canadian justice system had unfairly targeted him because of his religion. They also discussed how it would affect them and their families if Blackmore, who is facing up to five years in jail but is free pending sentencing, were to be incarcerated. Some of Blackmore’s sons also appear in the video saying they fear they would lose their jobs without their father. The elder Blackmore, 61, over the years has owned logging and trucking companies. Scott Sommerdorf | The Salt Lake Tribune Hanna Blackmore, left, listens as Elise Barlow spoke about her experiences with a first polygamous marriage and contrasted that bad experience with a good one with Winston Blackmore. 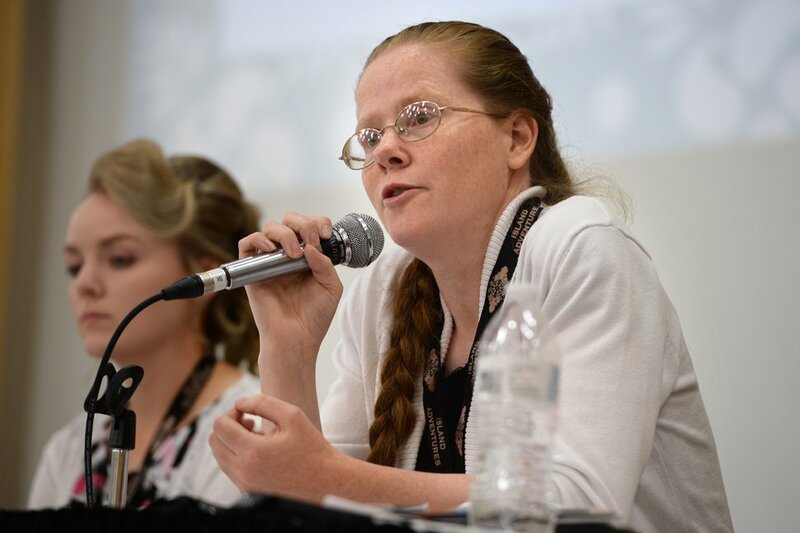 -- Several members of the Fundamentalist community in Bountiful, Canada discussed their experiences with plural marriage and what it means to them as a part of the Sunstone Symposium, Thursday, July 28, 2016. Blackmore and another man, James Oler, 53, were convicted in July in a court in Cranbrook, British Columbia, of one count of polygamy. It was the first such conviction in Canada in a century. Sentencing is scheduled for May 15. Blackmore has 27 wives. Sixteen remained in his family as of 2016, when some of his wives and children spoke at a Sunstone Symposium in Salt Lake City. In the last month, some of Blackmore’s family have become more active in discussing his case on Facebook. Hanna Blackmore also started an online campaign seeking $25,000 for her father’s legal expenses. As of Thursday afternoon, $2,100 had been raised. Blackmore never denied he was a polygamist. Prosecutors have said Blackmore and Oler always knew they were at risk for prosecution, even if Canada’s Constitution was vague on the matter. Then in 2011, the British Columbia Supreme Court held that the Canadian Charter of Rights and Freedoms did not protect polygamy, which the court called inherently harmful to women and children.